Mr. James C. Kennedy generously established the James C. Kennedy Endowed Chair in Waterfowl and Wetlands Conservation in the Department of Wildlife, Fisheries & Aquaculture of the College of Forest Resources at Mississippi State University in September 2008. This chair is the first in the College, and one of the largest endowments at MSU. Kennedy’s gift sustains in perpetuity the teaching, research, and outreach program in waterfowl and wetlands ecology and conservation at MSU. Kennedy was born in Honolulu, Hawaii and earned a bachelor's degree in business administration from the University of Denver. Currently, he is chairman of Cox Enterprises Inc., a leading media company and provider of automotive services. He has been employed by Cox since 1972. Kennedy is a fervent conservationist of waterfowl and other wildlife habitat. He serves on the board of Ducks Unlimited, Inc. and served as President of Wetlands American Trust for 15 years. 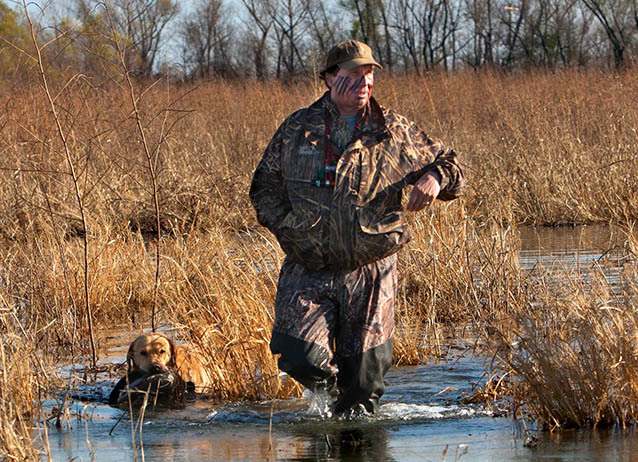 His deep love and respect for waterfowl and wetlands are well known nationally and internationally. Kennedy's extraordinary generosity has conserved many thousands of acres of wetlands and associated habitats in Mississippi and across North America. He remarked about establishing the Chair at MSU, "The endowed chair is a way that I can give back and ensure that future generations will have waterfowl and wetlands, and people to study and steward these tremendous natural resources. Considering the serious decline in university-based waterfowl and wetlands programs in the U.S. and Canada, establishing this Chair at MSU, where a prominent program already exists, was important and essential." Kennedy was recently honored by Ducks Unlimited with the Private Citizen Award as part of the organization's 2012 Wetland Conservation Achievement Awards. Kennedy is noted as a lifelong conservationist and philanthropist dedicated to the future of wetlands and waterfowl across North America. In 2003, he and wife Sarah were recognized as the Philanthropists of the Year by the Greater Atlanta Chapter of the Association for Fund-raising Professionals in recognition of their many generous contributions. When not in Atlanta, the Kennedy's enjoy hunting and other outdoor activities on their lands protected by permanent conservation easements through Ducks Unlimited, Inc.